I know I know it is only September but I couldn’t wait any longer to indulge in some pumpkin baked goods. I blame it on Starbucks for getting me in the mood so early. They rolled out their pumpkin spice lattes last week and I’ve been all over it. It’s my favorite fall drink and I think I’ve had at least 6 in the past week. Sheer indulgence! Plus it’s been in the 60’s here for weeks now so technically it’s fall. But who am I kidding, regardless of Starbucks, I love fall and I can’t wait. So I am celebrating the arrival of fall with these pumpkin spice cupcakes with caramel cream cheese frosting. Usually I am all about produce you can harvest right now, which are apples at their beginning stages. I’ve bought two batches of apples in the hopes of making something but that has not happened yet. I keep eating all the apples before I can bake with them. Ridiculous. The apples from orchards here in Upstate NY are just so juicy and irresistible. But until I can get myself to bake with apples, let’s talk about these pumpkin spice cupcakes! 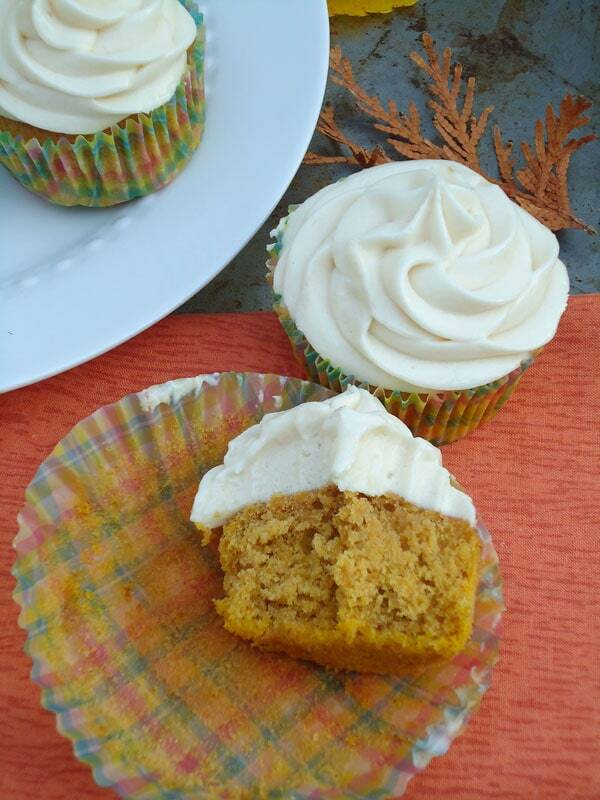 These pumpkin cupcakes are plenty moist, flavorful and loaded with warm spices of the fall. They can definitely be enjoyed on their own (as I did a few) but why stop there? Topped with caramel cream cheese frosting just takes an incredible cupcake to the next level. The original recipe uses brown butter in the cupcakes which I skipped but feel free to do so. You know I love me some brown butter but I was in a rush when I made these and didn’t want to wait for the butter to cool down. 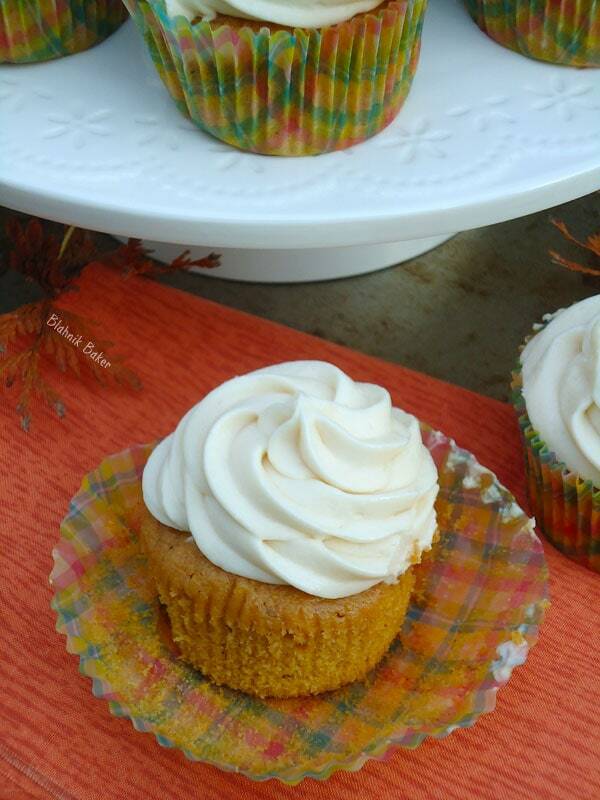 These pumpkin cupcakes are plenty moist, flavorful and loaded with warm spices of the fall! Preheat oven to 350 degrees F. Line cupcake tins with liners and set aside. 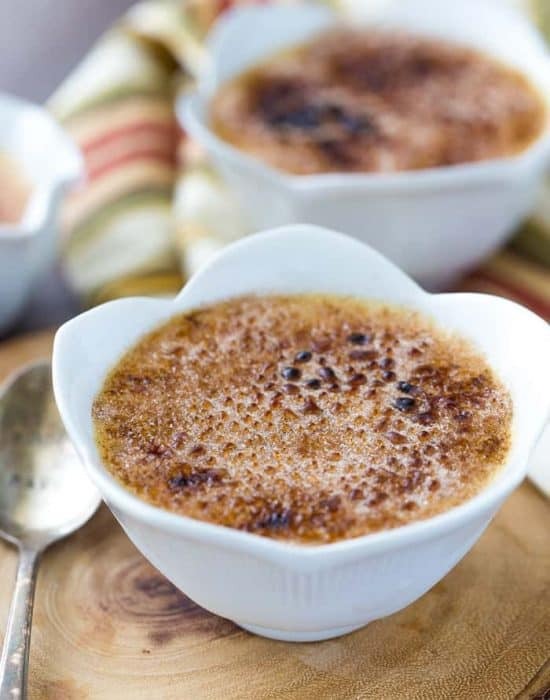 In a medium bowl, whisk together the flour, baking powder, salt, cinnamon, nutmeg and cloves. In the bowl of an electric mixer, cream the butter and sugars until light and fluffy on medium speed, about 3 minutes. Add the pumpkin puree and mix until combined. Add the eggs one at a time, mixing well before each addition. Scrape bowl as needed. Reduce the speed to low and slowly add the dry ingredients. Mix until just combined. Divide batter into prepared baking liners. Bake for 12-15 minutes or until a toothpick inserted into the center comes out clean. Reduce speed to low and add sugar, one cup at a time. Beat until combined. Add vanilla and caramel sauce and beat to combine. Increase speed to medium and beat frosting until smooth and fluffy. 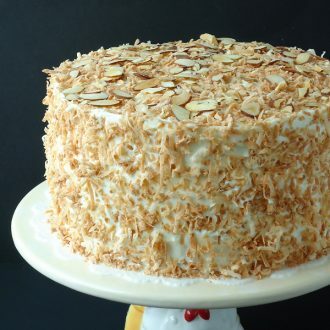 If buttercream is not thick enough, place in fridge for 20 minutes to an hour until firm enough to pipe. I used a Wilton tip 1M to pipe the frosting. 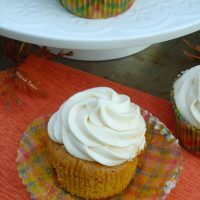 Next on my list are some pumpkin spice latte cupcakes!! Coffee and pumpkin are the next best thing. Do you have any recipes for those?? Caramel frosting? Why doesn’t all frosting have caramel in it?! 🙂 That looks so good. I’ve been wanting to make pumpkin muffins/cupcakes and wow do these look amazing. You captured the texture so well! I know right Mary? All frosting should have caramel indeed! Thanks for the kind words dear. 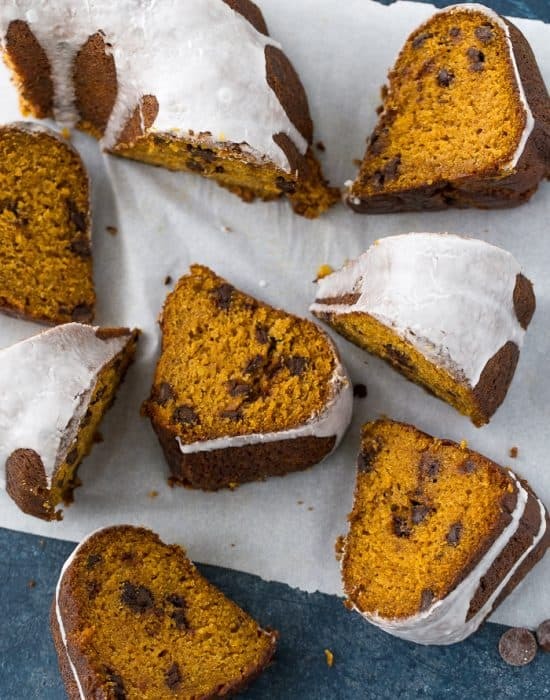 Yes to pumpkin baked goods! I am totally with you, Zainab, and have been obsessing over fall food. We just made a fall roast with butternut squash and apples AND pumpkin pancakes. I’m okay that it’s only a week into September 🙂 Can’t wait to try these beauties out! Amy we are on the same page girl! Squash and apple roast sounds so good. Sharing recipe soon?? It is never too early for pumpkin! I am so ready too!! These look so delicious. Your frosting is gorgeous! Yay I love fall baking! 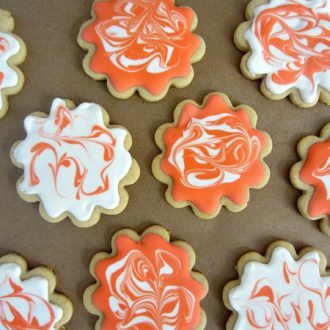 I can’t get enough pumpkin and these look amazing! Thanks Meghan!! Can we trade cupcakes for those swirl brownies?? Oh you swirl so beautifully! 🙂 Seriously, these look so amazing, I bet they taste divine. I love fall too! I’ve already had the Pumpkin Lattes 3 times. I may go again tomorrow morning. I love ’em! right now I’m eating Four Cheese Pumpkin Pasta Bake that I made last night. Recipe will be coming soon! Julie thank you for sharing!!! I think I may have a problem for those lattes and I can’t stop myself lol! Please share that pasta recipe soon because it sounds so delicious. It’s like fall comfort in a bowl. I can’t wait. Gorgeous cupcakes, Zainab! I can’t help not be in the pumpkin mood. I know it’s early, but it’s one of the things I look most forward to in the fall. I’m pinning this one to my Fall board! You had me at caramel cream cheese frosting 🙂 Visiting from Tasty Tuesdays! Nicole thanks for visiting :). 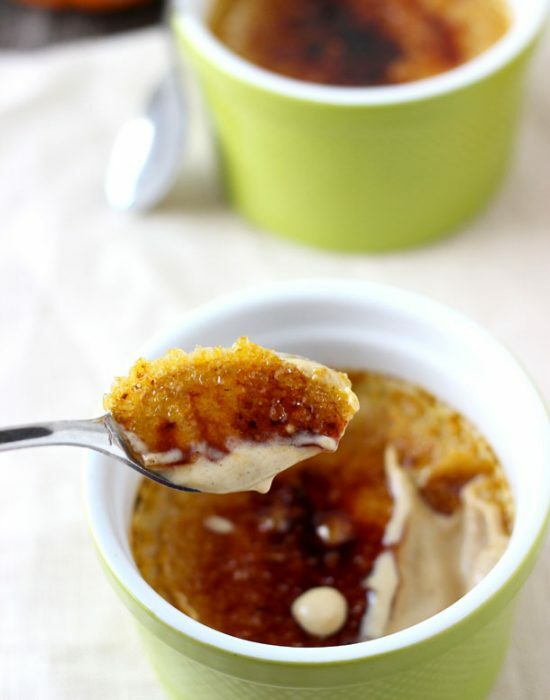 The caramel cream cheese frosting is really amazing! Dear Zainab, It is never to early in the season to enjoy pumpkin!! Besides think of it as a health food! Catherine thanks for visiting!! I agree pumpkin is a root vegetable lol! Pumpkin spice cupcakes, girl… keep them coming! I’m in love! It is never too early for pumpkin. I was dreaming of these last night. Lovely! Hi Zainab! I just found your blog and I’m so glad I did. As soon as I saw your blog name, I knew I would enjoy reading, since I have a bit of a shoe fetish myself. 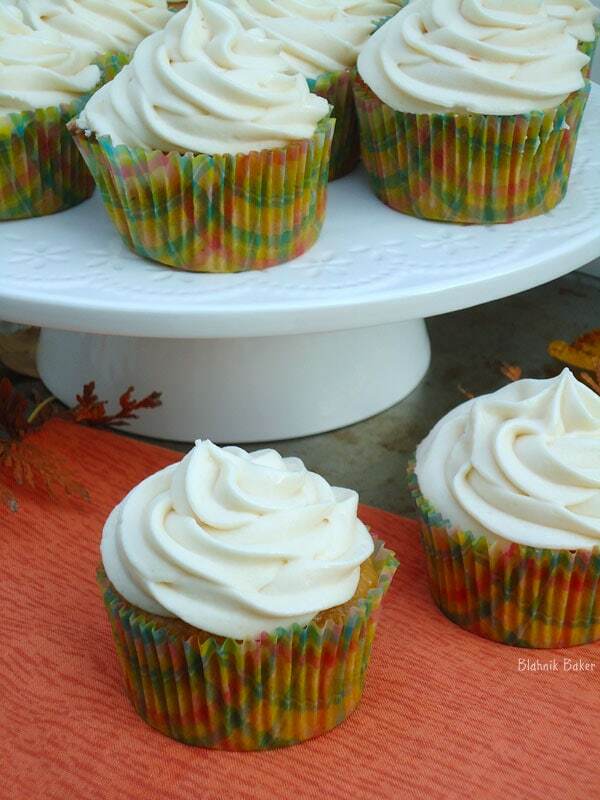 I can’t wait to try out these pumpkin cupcakes, especially with that caramel cream cheese frosting. I can’t imagine a better way to celebrate the start of fall! Jamie! I’m so glad you left a comment because now I have found your blog too!! Just spent 10 minutes drooling over your recipes and I can’t get that ice cream sandwich off my mind! Let’s do this pumpkin thing! I am so excited. And that caramel cream cheese frosting is just making my excitement more intense! Thanks Allie! The frosting was hard to work with because it wasn’t pipe-able at first but after chilling it behaved. I’m in desperate need to try your stable magic cream cheese frosting next! Those are some serious caramel frosting swirls! Love the colour of your pumpkin cup cakes, they look luscious and pumpkiny! Let autumn roll around, I can’t wait! What a coincidence, your daughter and I both have the same names :). Thank you very much for leaving a comment! Hi there! Stopping by from Whimsy Wednesday and had to check out your cupcakes. Perfect time of year for a pumpkin treat! Will be pinning! You make beautiful cupcakes!! I just want to bite right into them. The frosting looks divine!!! Thanks for stopping by Wake up Wednesdays!! Meghan thank you very much. No, thank you guys for hosting every week! I love fall too! 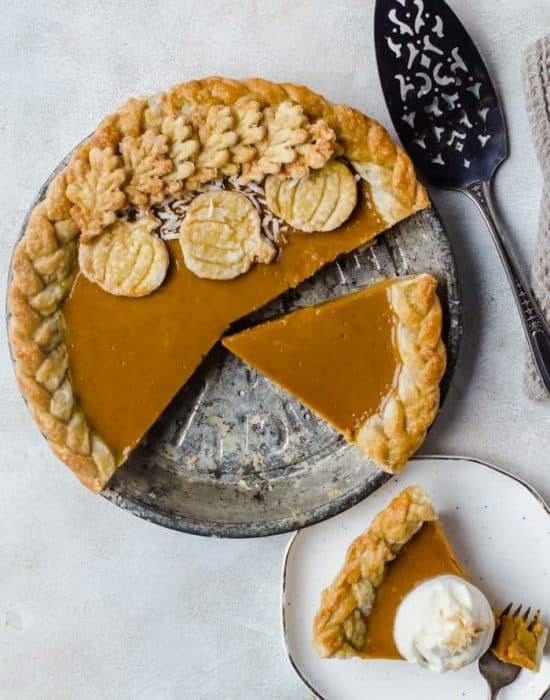 Bring on the pumpkin desserts! 🙂 These sound scrumptious! Jennifer I’m glad you are on-board!! Just did! Thanks for stopping by. Oh my heavens – pumpkin, spice and everything nice (aka caramel). Delish! I am SO ready for fall! have been for a while! but we’re having temps in the high 80s this week! so odd for Seattle. I can not wait to spend time in the kitchen cooking and baking all those tasty fall treats! these cupcakes will definitely make my list! I bet that frosting is so good..I would just eat it with a spoon! These cupcakes look delicious – my mouth is watering right now! Stopping by from Thursdays Treasures! Laura, thanks for stopping by! These sound delicious! I think one of the pumpkins growing in my garden might end up as some cupcakes! And I’ve also been indulging in PSL…so yummy! Thank you so much for stopping by!! I’m so jealous you can grow pumpkins…I’d love to have a garden one day soon but for now I manage with some herbs and tomatoes on our apartment porch lol! Scrumptious looking pumpkin cupcakes, girl! Fall is my favorite time of year. But, I hate seeing summer leave us as I missed out on so much last year due to illness. I say let’s get bakin’ with pumpkin! Don’t you just love how fragrant the kitchen gets with all the spices? Mmm. Thanks for sharing! Caramel frosting sounds amazing! Why have I never tried it before??? And wow, your cupcakes look beautiful and the crmb looks so delish. I need to try these as soon as possible! OMG! Those look incredible. I just pinned the recipe. Thanks for sharing. These look delicious!!! I am so glad it is Pumpkin Time!!! Me too Robin!! So many things to make and such little time before it’s peppermint time :). Thanks for visiting. Hope to see you again for tonights link party! Zainab, these pumpkin spice cupcakes look wonderful! Thank you so much for sharing and joining us at Best of the Weekend! Pinning to our party board, of course! See you this Friday and hope you are having a fabulous week! Cindy thank you for hosting each week!